Considering all these shortcomings in the availability of the internet, Punjab government took an initiative along with the coordination of Punjab Information Technology Board (PITB) to install 250 WiFi hotspots at public places including educational institutions, metro stations, airports and other major and prominent places in early February 2017. Punjab government is formally inaugurating the free WiFi hotspots today to bridge the digital divide. The project is getting inaugurated by Chief Minister Punjab, Shahbaz Sharif. 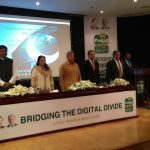 Chairman PITB, Dr. Umar Saif is the main force behind this initiative. “The purpose of this project is to help people stay connected and we hope that other provinces follow suit” says Dr. Umar Saif. The robust internet connectivity in Punjab will bridge the digital divide. Initially available in Lahore, Rawalpindi and Multan, expanding to Bahawalpur, Faisalabad free WiFi will soon make its way across all districts.